The Homer Laughlin 2011 round plate is a great size for appetizers or bread since it has a diameter of 61⁄4 inches. The rolled edge of the dish resists chipping to keep the plate in serving condition. Durable for constant use, the dish is made from china for resisting chips and scratches. 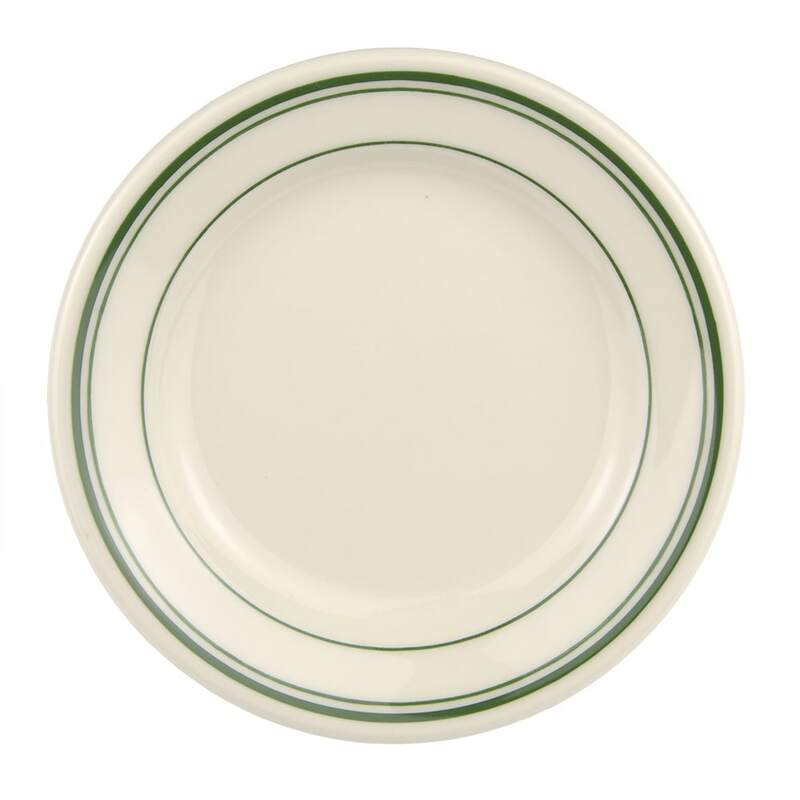 The Homer Laughlin 2011 round plate has a vintage look since it comes in ivory with green stripes circling the plate.